← We Win an Award! 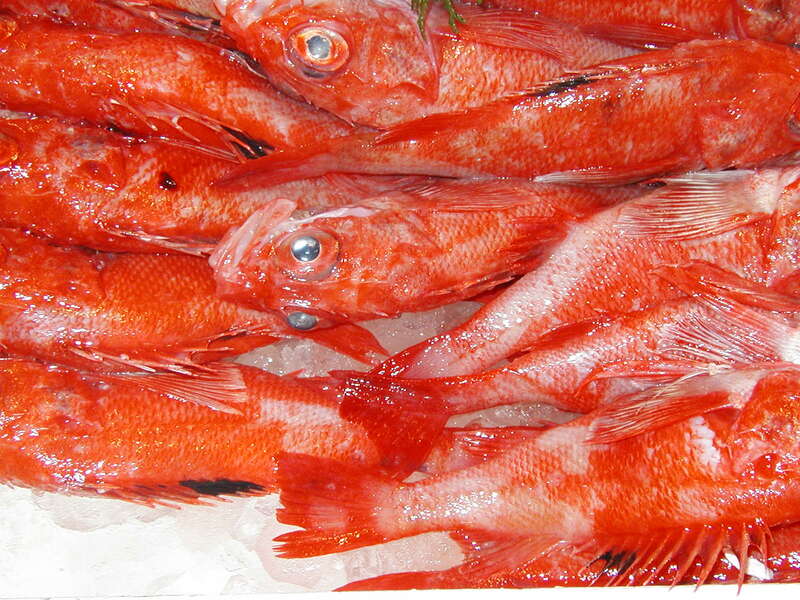 I’ve written a lot about the development of fishing for rosefish (or redfish, or Pacific Ocean Perch) along the West Coast after World War II. Starting in 1945, fishermen like Captain Gordon White out of Newport started fishing in deeper water, landing large numbers of bright red fish. 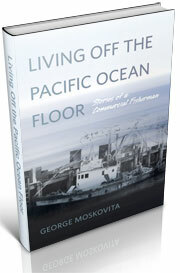 Other fishermen, like George Moskovita, also found rosies in deeper water off Astoria. Biologists like Jergen Westrheim and Lee Alverson were monitoring the fish being landed and trying to figure out more about these bright red fish, pulled from the deep water off Oregon’s continental slope. 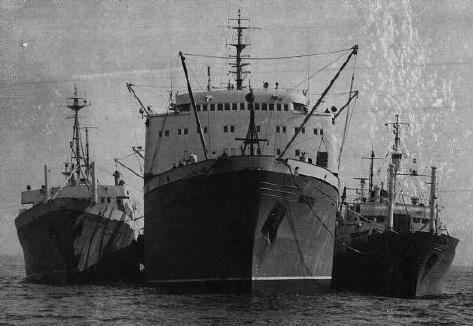 The Japanese had been fishing in Bering Sea since the early 1950s, but these new Soviet vessels “raised the hair on the necks of fishermen from California to Alaska,” Alverson wrote, adding that several scientists didn’t believe the Bering Sea could sustain such a large fishing fleet. 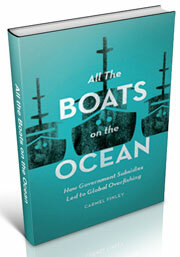 These giant boats mark the escalating of industrialization of fishing after World War II. They were subsidized by the Soviets for a variety of reasons, to obtain food from the sea, provide coastal employment, stimulate development in the Russian Far East, employ shipyard workers. For both Japan during the 1930s, and for the Soviet Union in the 1950s, the expansion of fishing showcased both modernity and industrialization. And, just as with the Japanese, the Soviets accompanied their expansion with research on both oceanography and fisheries. How much fish were the Soviets taking? 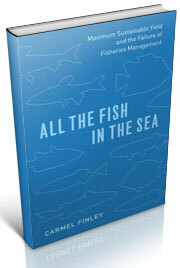 Alverson estimated a minimum catch of 250 million pounds, twice what the entire West coast trawl fleet was catching. Some colleagues called the estimate ridiculous and much too high. But it would turn out that Alverson’s estimate was lower than the actual 1959 catch. How long could Alaskan stocks sustain such heavy fishing? For rosefish, it wouldn’t be very long at all. I'm a writer and a historian of science. I'm interested in the intersection of science and policy in the oceans, and especially around fishing. This entry was posted in Environmental History, Fisherie subsidies, Fisheries policy, Fishing, History of Science, Marine Policy, Maritime History, Ocean fishing, Overfishing, Pacific Fishing History Project, Resources About Fishing, Rosefish, Sebastes rockfish, World History and tagged Gordon White; F.V Yaquina, groundfish, Jergen Westrheim, Pacific Fishery History Project, Pacific Ocean Perch, Pushkin, Rosies, trawling. Bookmark the permalink.